Add some excitement to your barbecue with these three delicious drinks! It’s time to start planning delicious drink ideas for all your upcoming barbecues and Memorial Day festivities. Skip the calories and keep the flavor with refreshing drink recipes which can be whipped up in a minute’s notice – how convenient! 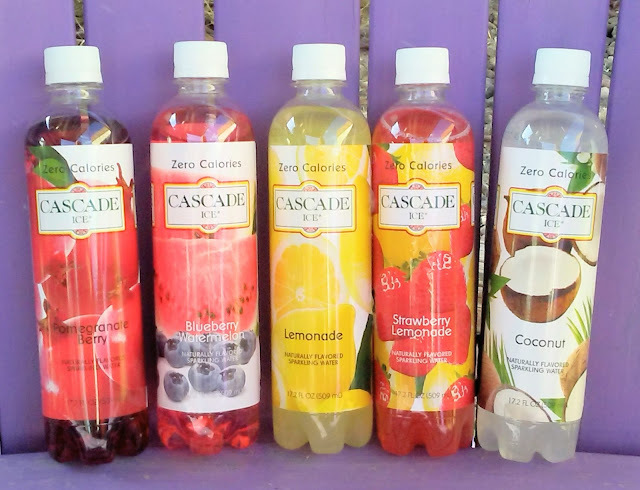 I love how all these drinks use my favorite low calorie drink Cascade Ice! A BBQ isn’t complete without some ice-cold lemonade! Try the Grapefruit-Lemonade Refresher for a new twist. Start with a chilled glass full of ice and add 3oz of Cascade Ice Grapefruit and 4oz of Cascade Ice Lemonade. Garnish with sliced lemons and a sugar rim. Check out all the wonderful flavors of Cascade Ice Water and try these delicious low-calorie drinks at your barbecue!